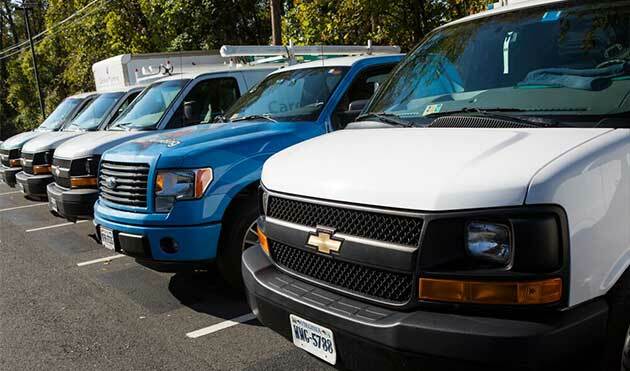 Are you looking for high-quality commercial plumbing services in Northern Virginia? Call us at (703) 541-8489 today for free estimates and expert service you can trust. There’s no need to suffer through a catastrophic commercial plumbing issue when expert help is just a phone call away. Serving all of NOVA, including Alexandria, Arlington, Centreville, Fairfax, Sterling, Manassas, Reston, Woodbridge. Most commercial buildings rely on their plumbing systems to keep business running smoothly. Some use the plumbing system directly in a manufacturing process, but for most it is the bathrooms, faucets and general plumbing services that need to keep working well. One serious problem and business can grind to a halt, so it’s important to have access to a professional local plumbing team that understands commercial plumbing and can keep everything in order. Your neighbors have been talking about our range of plumbing services. Click here to find out what they’ve been saying! If you don’t take your commercial plumbing seriously, you are asking for trouble. One serious plumbing issue in a mall, office building, concert venue, retail store or other commercial building can result in customers being turned away, potential injuries that might end up in litigation or employees being sent home with no pay. On the outside, a commercial plumbing issue doesn’t really differ from residential plumbing issues, but the scope and possible consequences are usually greater. Having a professional plumber come in and perform maintenance on your plumbing fixtures and equipment is a key component to keeping repairs and breakdowns at a minimum. When professional maintenance is performed, the plumber will be able to determine if any parts of the plumbing system are at risk for leaks, clogs or other issues that would disrupt the business. Getting a clean bill of health at certain points throughout the year won’t guarantee there will be no trouble, but it will greatly reduce the likelihood of unexpected plumbing disasters. When you look for a commercial plumber to take care of your property, make sure you find one that has experience and a proven track record providing superior commercial plumbing services. When you know there is a high-quality plumbing solution that’s in your corner and looking out for your best interests, it provides peace of mind and it enables you to confidently make the call if problems do arise. There is no scrambling and searching for someone to come and help – you have your plumber and that is that. If your commercial property is having plumbing issues, don’t wait to take action. Call Cardinal Plumbing, Heating & Air Inc. today at (703) 541-8489. We serve businesses in Sterling, Alexandria, and the surrounding area and we will provide you with a quick solution to keep your doors open.